Exchanging links is a great way to let others know what web sites or organizations you belong to. So we have made up a few common sized banners you can use to promote the Florida Contest Group. You can use these banners on your web sites, emails, blogs, social media, and so forth. 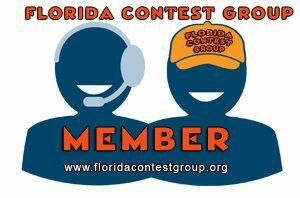 Just download the free Florida Contest Group images from the link below. Unzip them onto your hard drive and use them as you see fit. Note: you must host these images on a server other than the one floridacontestgroup.org is hosted on. There are security measures in place preventing you from hotlinking the images on our server. 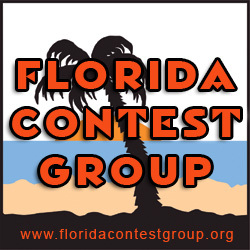 Download Florida Contest Group Membership icon. You can use the FCG Member icon to let visitors to your web site or blog know you’re a member of the FCG by using this icon on your site, blog, or social media. All banners must be amateur radio related – no exceptions. All banners must be G-rated. No girlie pictures or other non-family friendly images will be considered. Nothing politics, race, or religion related. No Flash or other video formats. File types accepted: jpg, jpeg, png, gif (but NO animated gifs or other “flashing light” images). All links and banner exchanges posted at the discretion of of the Florida Contest Group leadership team. Use the Contact FCG link above to let us know about your desire to exchange links.